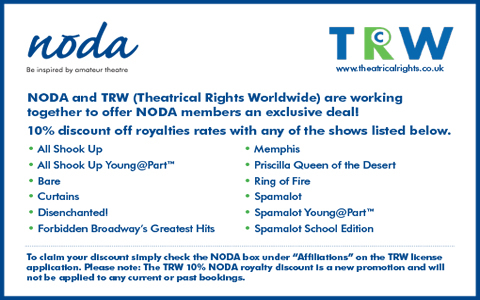 NODA is the National Operatic and Dramatic Association. 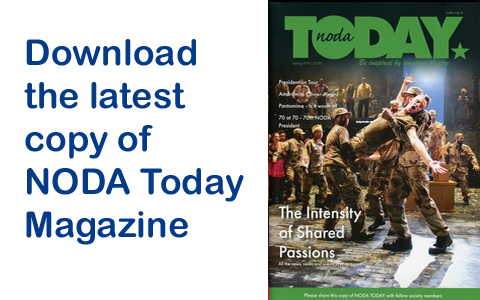 We have been working to help and support amateur theatre companies since 1899. Our perfect world is one where you’re creating brilliant theatre and we’re supporting you along the way. 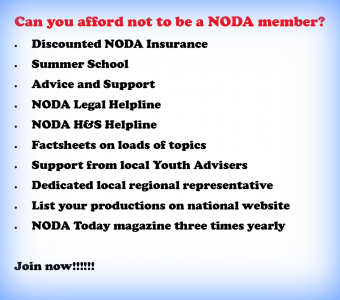 NODA members can benefit from advice and support and tailored insurance policies, as well as discounted rates on scripts and performing rights, and our regular members’ magazine NODA Today. Follow us on Twitter and Facebook to keep up to date with all the latest news.